Our clients – future dentists! 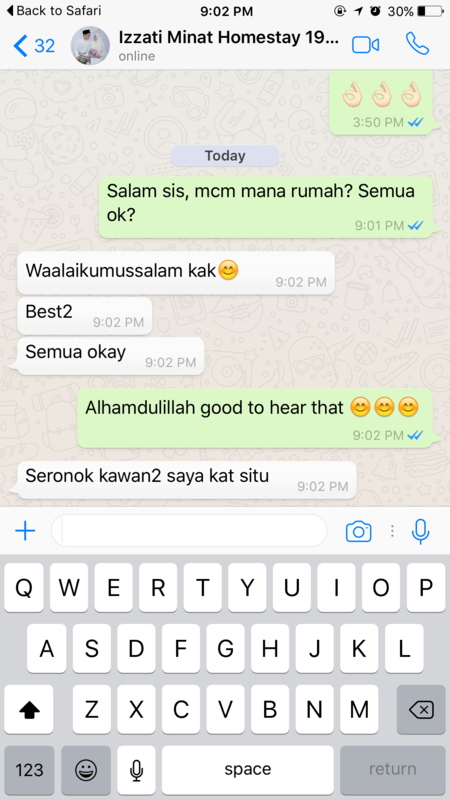 Alhamdulillah, our clients who are future dentists have chosen Villa Meena for their stay in Bandar Baru Bangi while they complete their 1-week site visits to all the dentistry departments around Bangi/Kajang/Serdang area. They have really enjoyed their stay and we are very happy that they are happy and comfortable at Villa Meena . My clients’ happiness is my happiness as well. Interested in Villa Meena? 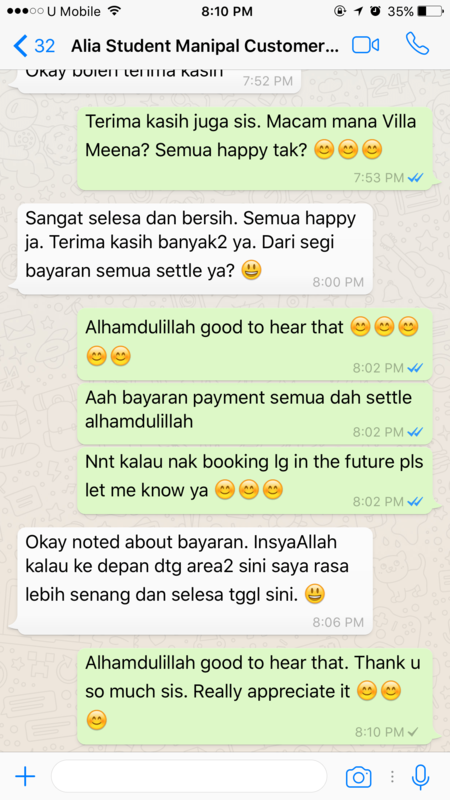 Call or Whatsapp me at 0193687768 to book now. Thank you.